We have all heard the phrase, there are always two sides to every story. 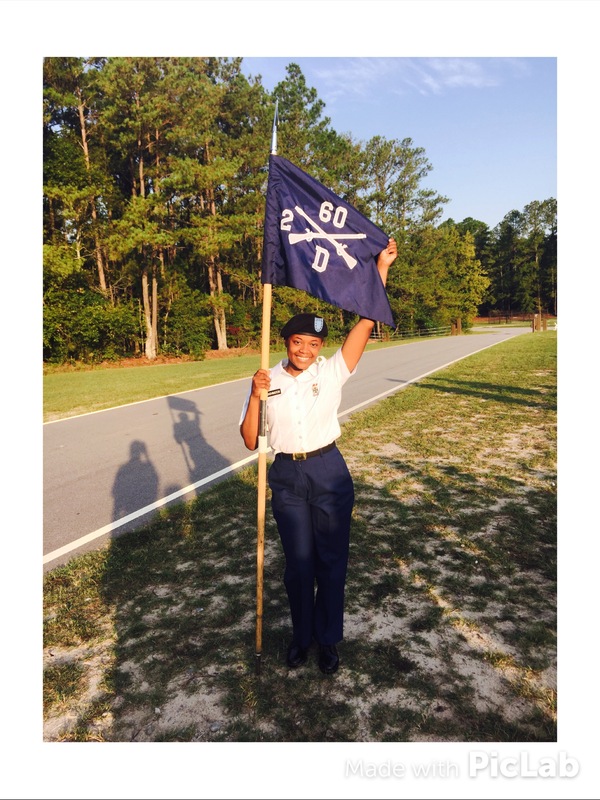 Freshman, Raven Washington is a living example of it, cheerleader and soldier at the same time. Washington graduated from John Tyler High School in 2016 where she also cheered. She enrolled in TJC to major in general studies. Washington made the cheer team while also being a part of the Army Reserves. Washington joined the Army Reserves her senior year in high school. She enrolled solely for the benefits but she didn’t realize how life changing it could be for her. “I originally went for the benefits, but I realized it was much more than that…” Washington said. Since joining the Army Reserves, Washington has met a lot of interesting people. “I meet some may people form around the world. Bringing different religions, backgrounds and ethics,” Washington said. The Army Reserve offers students the opportunity to work on their careers or attend college full time while serving near home. Army Reserve Soldiers receive the same training as active-duty Soldiers. After Basic Combat Training and Advanced Individual Training, Army Reserve Soldiers return to their civilian lives and spend one weekend a month training to keep their skills sharp. For roughly two weeks a year, they focus on challenging field and specialty training. The training she went through made her a different person. “It was hard at first, but once I got use to it just flowed,” Washington said. Washington’s unit is deployable now. Around the year 2020-2021 she could be chosen to be deployed. Although she has to be ready at all times. Her rank is E-3, which is Private First Class. Private First Class are the basic workforce strength and rank of the U.S Army. The Junior enlisted soldier begin the transition from apprentice to journeyman by developing technical and leadership skills. Washington has a lot of support from her peers. Her family has a strong military background on both sides which she says makes it second nature to her. “My family is super supportive and they couldn’t be more proud of the things that i’m doing with my life and future.” Washington said. Her fellow cheer mates are also happy and proud of her. “They understand that outside of school and cheer I have a job to do and they give me the true definition of what a cheer team should be,” Washington said. Some of her other hobbies include reading and researching history facts when she has a chance to. Washington wants to encourage anyone to join the Army Reserves and is very blunt about the stigma that some people give off about it. “I had people who didn’t even know the history of the military telling me not to go. It’s nothing like that, I would not have made it this far if I listened to what people was telling me what it was going to be,” Washington said. This is an enlightening story. I think that more people should follow in Raven Washington’s courageous example. I can see a very fulfilling future ahead for this young lady as well as the lives she will inspire with her choice to be in the Army Reserves. It is refreshing to see a young person who has taken the “Bull by the Horns” so to say and has made a choice to give her life a direction. it is far to often that after High School or even after College young people seems to have a sense of not knowing what comes next. I wish her all the best with her future at school and in the Reserves.